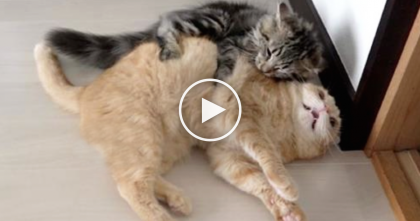 This kitty was found and as you can see in the video still in his litter box, meowing for fear of the water. The poor kitty almost died in this traumatic flood, but luckily rescuers found the kitty and rescued him! In moments of disaster like this, we care about those most important to our hearts, and especially our cats who mean so much to us… I’m SOO thankful they saved this kitty! 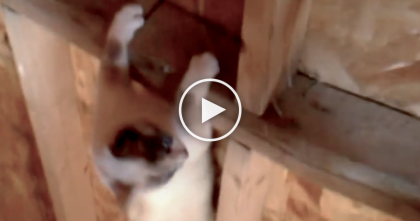 He Tried To Rescue His Cat Stuck In The Rafters, But Then… Watch What This Cat Does, OMG!! 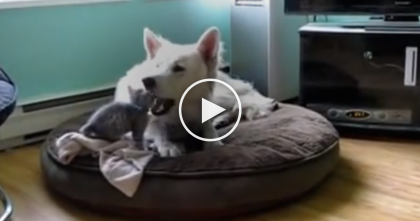 They Got A New Kitten, But When He Met The Others… It’s TOO Funny, Just WATCH.